Double glazing is formed of two panes of glass that are sealed and separated by an air gap, applied to windows for heat insulation and soundproofing. Double or triple panes can be assembled. Structural double glazing is assembled in the same way as traditional double glazing, but in this case the panes can be offset to enable gluing to the frame and create facades or “continuous” frames, with the uprights being concealed for a glass wall effect. Silicon sealants are used for gluing that are specifically researched to withstand exposure to UV rays. Veneto Vetro assembles extremely large double glazed panes for residential and commercial buildings, and for high performance internal partitions. The Company produces traditional double glazing, safety double glazing, structural double glazing, low emission double glazing, selective double glazing, double glazing with increased sound and heat insulation. The air between the two panes can be replaced with a noble gas (argon or krypton) that considerably improves heat insulation. One of the inner surfaces can be coated with a fine transparent silver-based layer, which traps the heat inside the home much better. 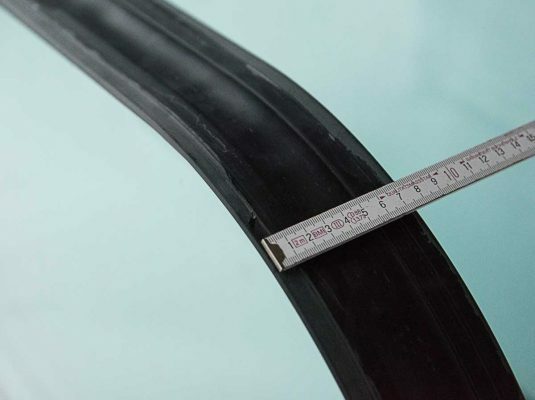 The so-called “hot edge” can be applied, which is a stainless steel section covered in plastic film on the window frame, instead of aluminium, itself a good heat conductor. One of the two panes can be coated with a fine film of special noble metal oxides that reflect the heat on the outside. Besides keeping the home warm in the winter, this system considerably decreases the heat of the sunrays on the window in the summer, keeping the interiors much cooler. Two panes of different thickness and their different vibration help reduce noise. Stratified glass with pvb has soundproofing properties. The plastic film that holds the layers together (on request) can have greater soundproofing properties with respect to traditional pvb. If the pane is stratified with two or more films, soundproofing is increased further. A rim of approx. 20 mm improves the soundproofing level.